There are few Manhattan neighborhoods that can boast as rich and interesting a history as Five Points. Five Points is considered by many to be the original melting pot. The streets of Five Points were once the dwelling place of some of the most ruthless gang members and criminals of the 1800’s including the infamous Al Capone. The Old Brewery, a building that once housed over 1000 impoverish people, is depicted in the Martin Scorcese film Gangs of New York as the anarchic playground of Manhattan’s most cutthroat gangsters. Since those days, the Five Points area has obviously seen vast improvements and now draws residents of all to its historic streets. As people move in and their stuff accumulates, the residents of Five Points are faced with the problem of finding a convenient NYC moving and storage company that won’t break the bank. Zippy Shell’s unique process is perfectly equipped to satisfy any and moving and storage needs in Five Points! Our amazing service takes the stress and hassle out of moving and storing anything! Zippy Shell portable storage units will get you the extra space you need without the fuss. So how does it work? It’s this simple: We drop, load, and pick up. Want to load the portable storage unit yourself and save some money? No problem. Unlike our competitors, our mobile storage containers are street legal, so we can deliver and pick up right from the front door of your home or space! You won’t find a moving and storage company that makes it easier than that! Five Points Most Trusted Moving Company! 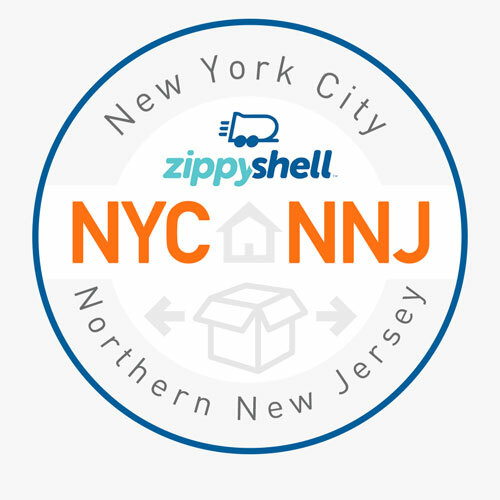 Once your Zippy Shell is loaded, our driver will pick it up and take it to our safe, secure, climate controlled storage facility. Your belongings will be kept safe and clean for as long as you want. Just need a night or two? No problem. Want to leave your things in storage for a few months? We can do that too. Our moving services are so simple. Just tell us when and where you’d like your things delivered, and we’ll drop them off as easily as we picked them up! We even offer affordable long distance moving services! Do you want to know the very best part of our moving and storage containers? Our flexible self storage solution is also the most affordable in New York City and Northern New Jersey! Let us prove it to you now. Contact Zippy Shell to see how little it costs and to arrange delivery of your mobile storage unit unit today.